An essential piece for any jewelry box! 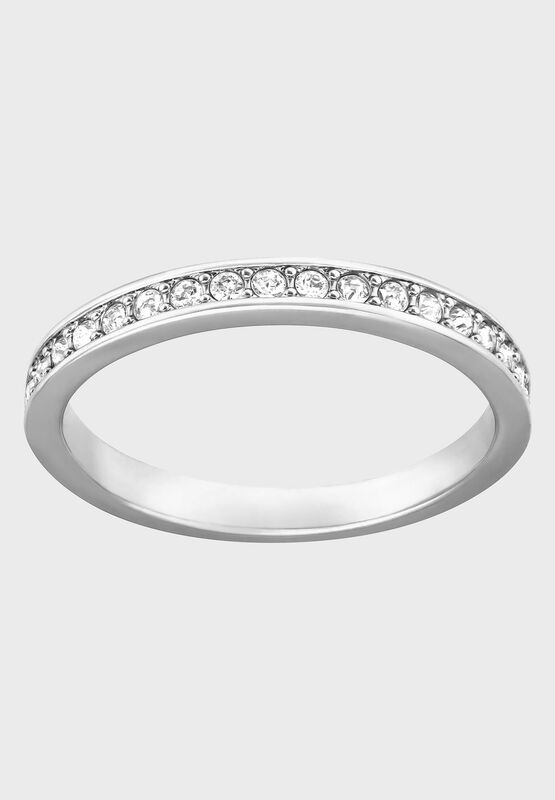 With a slim silhouette, this delicate rhodium-plated ring is refined and easy to wear. One half is adorned with sparkling crystals. Combine it with jewelry in silver tones or wear it together with the gold-plated Rare ring for a trendy stacked look.